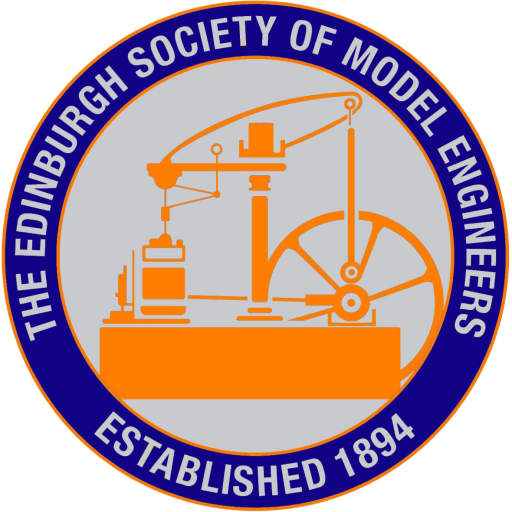 The entries into the Bits and Pieces evening were quite varied and show the diversity of activities that model engineers get up to. 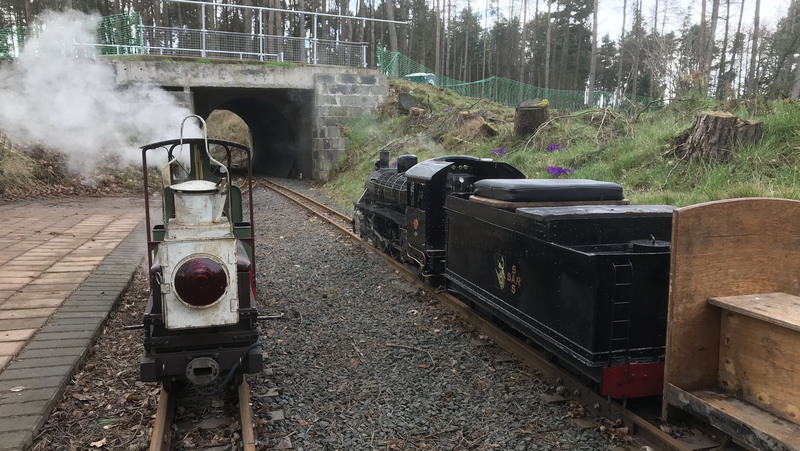 It’s not all steam locomotives and miniature railway! Our Roving Reporter was there and submitted pictures of some of the items. We hope you find them interesting and if it kindles your interest please come along and join us. Cliff bought along this interesting Nixie Tube Clock which he explained came about when he was browsing the remnants of his father’s electronics workshop. Coming across four old, but unused tubes he thought his father had intended to build into a clock. Cliff decided to finish the job. 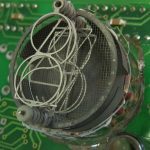 Cliff purchased appropriate circuit boards and salvaged two more tubes from and old scanner which meant he could make a 24 hour, minute and seconds display. The next step is to design a nice case and for this Cliff has in mind a soldered tinplate case with brass fittings that will drop over the works in one piece to bolt onto the brass base plate. 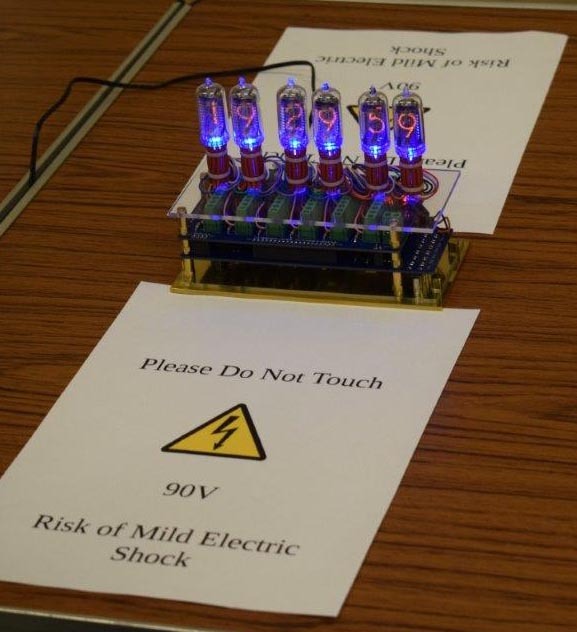 For those of you curious about a Nixie Tube clock (I know I was) then follow this link to Wikipedia and an explanation. 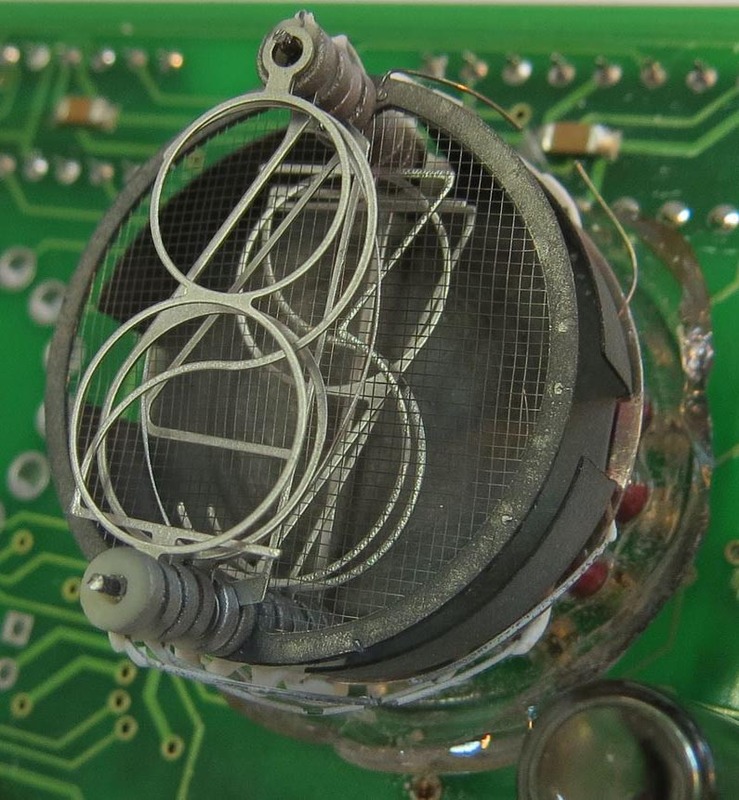 The inner workings of a Nixie Tube are shown in the photograph on the left. 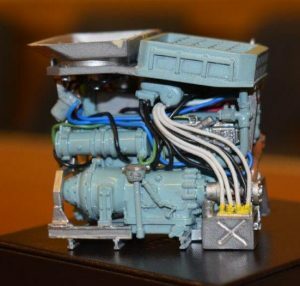 The smallest exhibit was entered by Derek and is a 1/24th scale engine, gearbox and cooling assembly for a F434 Armoured Maintenance Vehicle which has been super detailed from a basic kit. 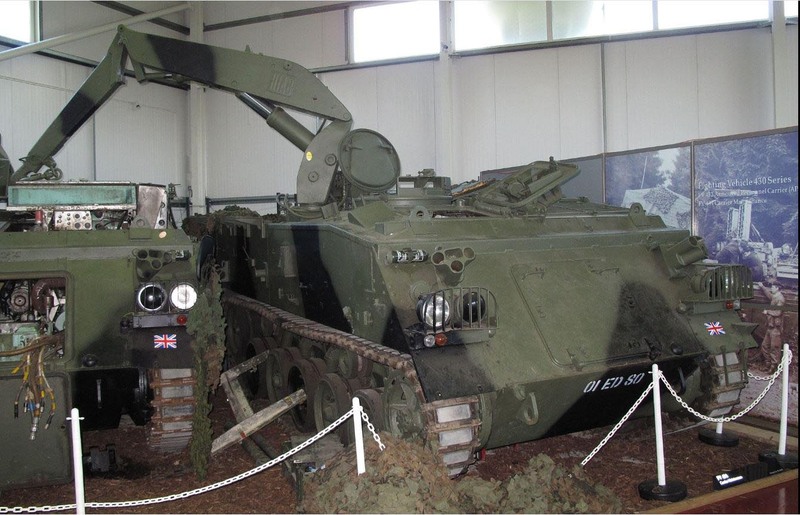 The original vehicle looks like this which is exhibited in The REME Museum of Technology. 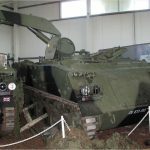 To read about the original vehicle then follow this link to Wikipedia. This years winner of the Farr Trophy was Norman who entered the part built chassis of an LNER V2 class 2-6-2 in 5″ gauge. When finished the model will feature three cylinders and the Gresley Conjugated Valve Gear. Norman has experience of building Gresley 3 cylinder locomotives as he build a superb 5″ model of A3 ‘Hyperion’ to the Don Young drawings. Norman is adapting the Martin Evans design by adding super detail based on the A3. For example it has working leaf springs rather than dummies with coil springs. 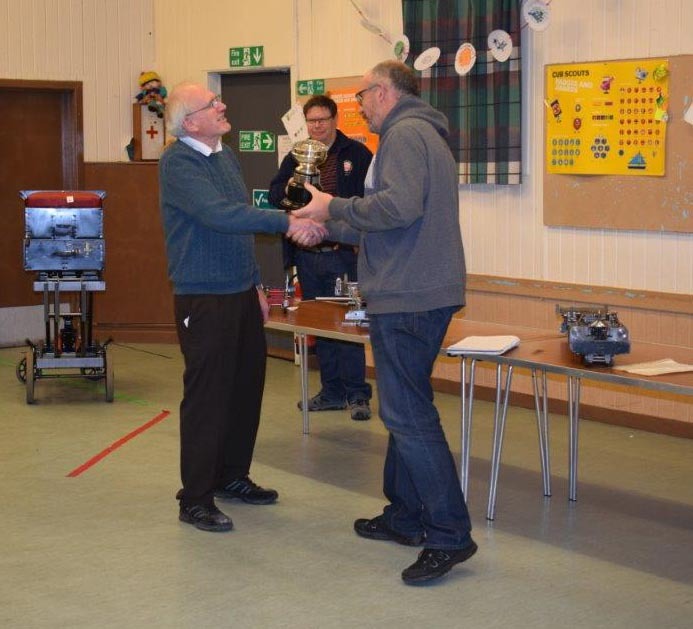 The photograph shows Norman receiving the award from club president Mark. The chassis (upside down to show the detail) alongside the Farr Trophy. This entry was posted in Club News, What our members are making. Bookmark the permalink.